Play at Vegas Crest Casino here! Once you enter Vegas Crest Casino website, you know you’re in for a lot of fun. The dark-themed sleek design, the enticing Welcome Package banner and a selection of the most popular video slots all greet you on the casino’s homepage. One of the best PayPal gambling sites and one of the top PayPal casinos AU, Vegas Crest goes to great lengths to provide you with the best possible gaming experience. The casino was established in 2014 and obtained its licence from Curacao eGaming, a common licensor working in the industry since 1993. It prouds itself on being operated on the Vista Gaming platform (established in 1996), one of the most reliable software platforms out there. Continue reading this Vegas Crest Casino review to learn more about why this casino is a great choice for both novices and seasoned gamblers. Upon registration on the website (and before depositing any money) you’ll get 10 free spins on the Tipsy Tourist slot: Vegas Crest casino no deposit bonus codes are not required here. You’ll get another 90 free spins on your first two deposits (for Pinocchio game and for Fruit Zen 3D slot respectively). However, the best part is, of course, the huge match bonuses awaiting you at Vegas Crest Online Casino. Those are 200% Bonus up to $1,000 and a massive 300% Bonus up to $1,500 granted on your first two deposits. What’s even more amazing is that Vegas Crest offers Daily Match Bonuses, meaning that its players receive bonuses every single time they fund their account – no joke! Considering these and many other ongoing promotions on the website, one might consider Vegas Crest one of the most generous casinos on the market. Vegas Crest PayPal casino offers more than 900 games for its patrons including video slots, table games, video poker, keno, bingo and scratch cards. The games are conveniently categorized by the software provider, so you can easily pick the titles from your favorite developer. You can find Betsoft, Concept Gaming, GameArt, Mobilos and Rival among the game’s developers, and the variety means there’s something to everyone’s taste. Vegas Crest makes it super easy to find the game you’d enjoy most. The Video Slots section on the website is divided into narrower subsections such as Progressives, 3D Slots, 5 Reel Slots, 3 Reel Slots, iSlots (Interactive Slots) and more. The latter, for example, feature character lead storyline that unfolds depending on the choices you make through the game. Another unique category of games is Chain Reactors. Here you can start a chain of wins as one winning combination is completed. There are many more exclusive games on Vegas Crest online casino USA: the website promises that you won’t find those at any other online casino in the world. At Vegas Crest, you can play four types of blackjack online with PayPal. Those are European and American Blackjack as well as Vegas Strip and Atlantic City. 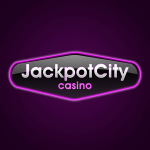 You can also enjoy classic Roulette and Craps (among other games) on the website. The casino is equipped with poker games as well, including Caribbean Poker, Texas Hold ‘Em and Ride ‘Em Poker. Finally, the Vegas Crest suite of table games wouldn’t have been complete without Baccarat and Top Card Trumps. The great thing is that you can enjoy playing the casino’s table games from your mobile device. The option of Vegas Crest casino instant play means that you don’t have to download any software on your device in order to enjoy your favorite casino games. This is also true for Vegas Crest casino mobile – no downloads and no separate website or page is required. You can just visit the main Vegas Crest website from your smartphone or tablet and start playing instantly. 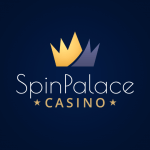 The casino is compatible with Android, iPhone, iPad, Mac, Samsung Galaxy Tab and Windows. Since the website is fully optimized for hand-held devices you don’t need to worry about anything as you play on the go. As with any online casinos for real money, it is important to figure out which banking options are available for you. 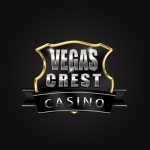 Vegas Crest lets you make a deposit and withdraw your winnings via a variety of convenient methods. These include Visa, Mastercard, Neteller, Skrill, Bitcoin, Bank Transfer and Cheque. As expected from any reliable casino, all transactions at Vegas Crest are securely encrypted and the casino follows the banking industry best practices to prevent fraud. Withdrawal times differ depending on the banking option you choose. Those are 24-48 hours for e-wallets, 3-5 days for credit/debit cards, 3-7 days for bank tranfers and 7-14 days for cheques. There is a withdrawal limit of $3,000 and 48-72 hours pending period for withdrawals. The currencies available are US dollars, Euros, British pounds sterling and Bitcoin. Judging by Vegas Crest casino reviews you can find online, this casino is a great choice for both experienced players and those new to the industry. The casino has gained a solid 7 out of 10 rating on AskGamblers. It was praised for a wide variety of games available, instant play option and SSL data encryption technology. Vegas Crest is dedicated to providing the best possible experience for its patrons, which is evidenced, among other things, by its friendly round-the-clock support. The team is ready to help you via Live Chat with any queries you might have as soon as you enter the site. The website itself is feature-packed (but not busy), well-organized and attractive. Its promotions page is filled to the brim by enticing bonuses and promotions. More importantly though, Vegas Crest offers secure deposit and withdrawal methods and quick payouts. Out verdict for Vegas Crest is that it’s a reputable casino with an impressive selection of games to choose from and a bonus system that hits the spot. It deserves a closer look for many reasons, and those mentioned in our review is only a start!